JACKSON-The Jackson Township Council has hired Marci Hamilton as special counsel who, according to the township, “has expertise related to the First Amendement and the Religious Land Use and Institutionalized Persons Act (RLUIPA)”. It appears that a year long negotiotion and cease fire between the two factions has ended. 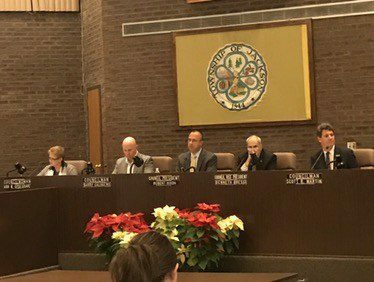 Agudath Israel of America (AIOA) is suing the township for what it deems is anti-semitic behavior over a series of ordinances the council passed in 2017. AIOA claims the township ordinances unfairly targeted members of the township’s Orthodox Jewish community. Hamilton will receive $800 per hour for her services and according to Council President Robert Nixon, there is no spending cap on her services at this time. As far as how to pay for it, Nixon said Business Administrator Terrance Wall is working out the details on how Hamilton will be paid as legal bills add up in the future. It is not certain at this time whether or not the township’s insurance brokerage would cover the fees, which could easily escalate into the millions depending on how the case progresses. Nixon offered no details about the court case between the township and Agudath Israel, “It’s a matter of litigation and I can’t discuss it at this time,” he said. Hamilton has represented several communities who battled the Orthodox over eruvs in their communities, including Upper Saddle River, Mahwah and Pomona. In each of those towns, Hamilton was forced to settle with the Eruv proponents. Bressi voted against the hiring of Hamilton. Councilmen Andy Kern, Alex Sauickie, Barry Calagero and Nixon all voted in favor of the $800/hr appointment.